Melbourne: In the bleakest of years for Australian cricket, fast bowler Pat Cummins has been a beacon of hope, answering the nation's call for leaders to emerge during the ball-tampering exile of Steve Smith and David Warner. On Monday, Cummins's efforts to drag Australia back to respectability were recognised as he claimed a maiden Allan Border Medal as the country's leading cricketer. Taking 44 wickets across all formats through the voting period from Jannuary 9, 2018 - January 7, 2019, Cummins edged out spinner Nathan Lyon, becoming the first bowler to win the award since fellow paceman Mitchell Johnson in 2014. It was not just Cummins's bags of wickets that soothed fans left aghast by the Newlands ball-tampering scandal. He showed himself to be more than a handy tail-end slogger as he smashed two half-centuries against South Africa and India, including a defiant 50 in Johannesburg as his team laboured in shame after the Cape Town test. Beaming in a white tuxedo at the awards night in Melbourne, the 25-year-old resembled a schoolboy posing for family photos before the senior year dance. It was a poignant reminder of a player still very young in fast bowling terms, though long marked for greatness. Cummins made his first splash as an 18-year-old tearaway, claiming a match-winning seven-wicket haul against South Africa on his 2011 test debut in Johannesburg. It took more than five years for him to play his second test, an agonising wait for both the bowler and team staff while he battled a series of lower back stress injuries. Since kicking off his "second career" against India at Ranchi in 2017, however, Cummins has completed a second full season with no major breakdowns. "I've obviously had quite a few tough years with injury. I always thought test cricket was the dream but wasn't sure I'd get up there and forge a consistent career," he said at the awards night. "Going into last summer and the Ashes, five tests -- I'd never done anything like it before so, to get through that, I just had a heap of confidence in my body. "To do it now, two years in a row, it's been great. I feel like every time I bowl, my rhythm just feels a little bit better." 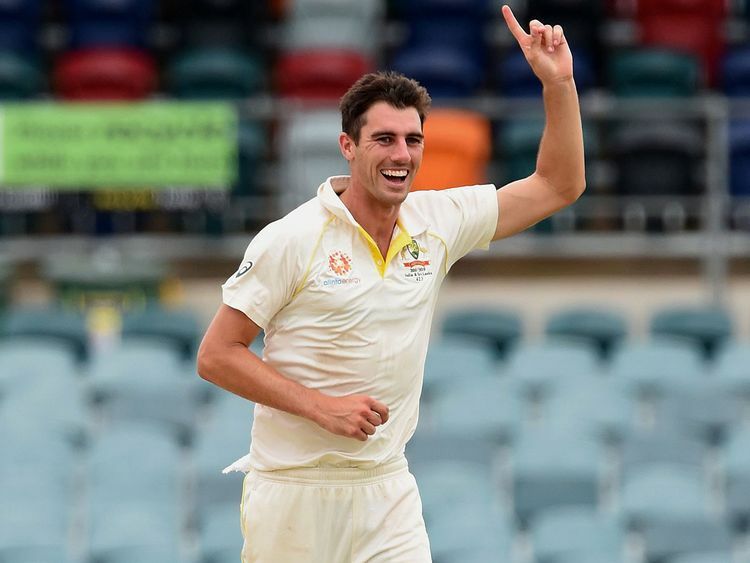 While Australia's pace spearhead Mitchell Starc battled through a mostly wayward home summer, wearing a disproportionate share of the blame for the test series loss to India, Cummins's reputation was only enhanced by the defeat. He took a career-best 6-27 and blasted 63 with the bat in a losing cause in Melbourne, prompting local media to anoint him a future captain of the team. Promoted to one of Australia's two vice-captains in the series against Sri Lanka, Cummins took 14 wickets in the two tests to be named man-of-the-series. He is now second in the ICC world bowlers' rankings behind South Africa's young gun Kagiso Rabada. After only 20 tests, Cummins will play the first Ashes fixture at Edgbaston in August in sight of his 100th wicket. England beware, said former captain Michael Vaughan. "Cummins is a superstar and will win an Ashes on his own one day," Vaughan tweeted last week.